People used to search for how can I speed up my website? How to speed up WordPress site? What is a caching WordPress optimisation plugin? How can I make my WordPress site load faster? How to improve website loading speed? What is WP Rocket? What are the best practices for speeding up your website fast? How do I optimize WordPress performance? How can I make WordPress site faster? If your website takes lots of time to load you can then expect your Google rankings to fall, and you then able to drive less organic traffic to your website. Basically, including optimized hosting for WordPress there are various techniques of WordPress site optimization that you can apply to speed up website loading. So, the purpose here is to provide you every possible, but best ways we know of that can make your website load faster. The significant advantage of WordPress site optimization by reducing your page loading time is that it will improve user experience ultimately with more page views. Eventually, all these methods you will see the reduced bandwidth usage of your hosting helps to keep your website lightweight & perform faster, improve pagerank in the SERPs and so Domain Authority. It decreases the number of requests to and from browser to user and application to the database, hence enhancing the overall site performance. Here I have listed beginners but best WordPress page speed optimization ways to improve your WordPress website. 1. Keep your site updated at all times. 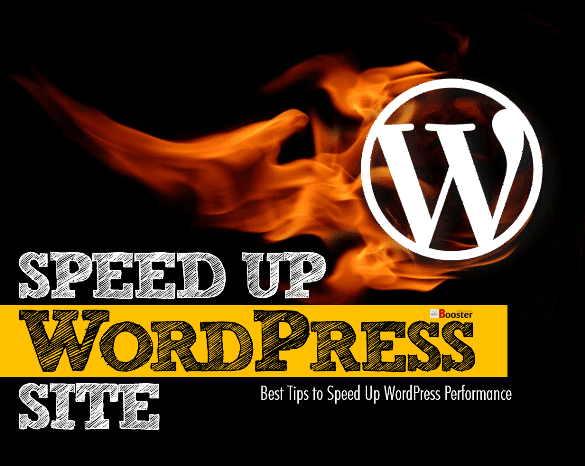 Speed up website load time - WordPress regularly turns over new updates from time to time. If you don’t update your WordPress site frequently, you run the risk of it becoming slow. These updates aren’t only to give you access to new features, but it also helps you to find and fix security issues and any bugs. Updating your WordPress site isn’t hard; generally, you’ll be notified on when an update is needed. If you don’t update it across multiple WordPress update changes, you run the risk of your site becoming unreliable and vulnerable to threats. Update often. The pictures help to understand the story of your content quickly and can contribute to boosting your overall visitor engagement. Visuals on your content give you a better chance of being read than if you don’t have images. However, when uploading large images to WordPress, it can slow your site down due to the time it takes to load. This is why it’s important to optimize your images before uploading them to your site. You can optimize them by using photo editing software. Depending on the editing tools you use, you should be able to decrease the size of the image by 5x. You should also have the ability to format it in either PNG or JPEG. JPEG — JPEG is a compressed file format which delivers the images in a smaller size. It may reduce the image quality slightly. PNG — PNG is the image format that’s uncompressed. While the image quality stays high, the file tends to be larger which can take a lot longer to load. So, which one should you use when optimizing it for your site. Here are two of the main things to consider. Use JPEG if the image features a lot of colors as this can cause a PNG file to load very slowly. Use PNG if the image is transparent and has only black and white coloring. Depending on the type of software that you use to edit your photo will depend on which one you choose. Always read the user’s guide to help you efficiently use the software, so you don’t waste time. Generally, when your website becomes popular, you may receive a lot of visitors from all across the world. When people are loading your site from across different parts of the world, it can affect the loading time of your website. This is where a CDN can be used to help speed up your loading time. A content delivery network, in short, is made up of a number of servers that are located across the world. Each of these servers stores files that are used in the creation of your website. When a visitor visits your website, they will gain access to the files that are located on the server that’s closest to them. This means they will receive the information faster because the loading speed is less. 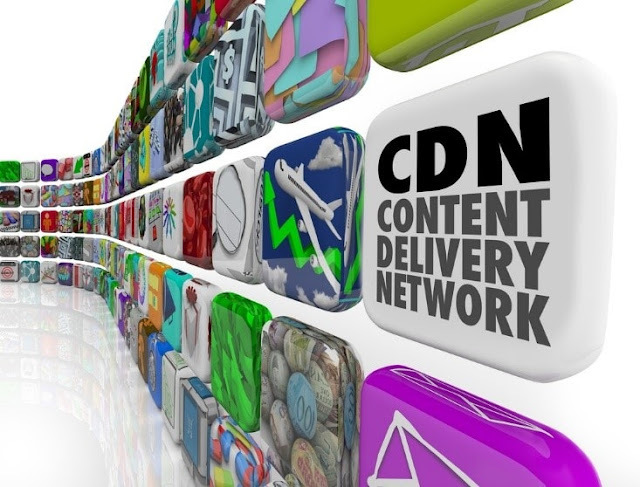 Where possible, speed up your WordPress site by integrating a content delivery network. Logging into your WordPress site. Clicking on Plugins > Installed Plugins in the main menu. Tick the plugins that you no longer need. Delete them using the drop-down menu. You’ll find clearing out old plugins will help to dramatically improve your website’s speed and performance because it doesn’t have to work so hard to load unessential items. Videos, when uploaded, take up a lot of bandwidth and take a lot of time to load. If you have various videos that you want to showcase on your website, instead use video hosting platforms such as DailyMotion, Vimeo, or YouTube. On WordPress, you have a built-in video embed feature which allows for easy copy and pasting of the video URL. When this URL is pasted across you will have the video embedded onto your WordPress site. You can also download a video player as well to help transition the videos better. It’s that easy, and it doesn’t slow your site down dramatically. WordPress pages are classed as dynamic meaning they are built and loaded from scratch each time someone comes to your website. When this is done over and over again, it can really slow down the loading speed. Instead, it’s a good idea to install a caching plugin that helps to speed up your site. A caching plugin makes a simple copy of a page after it’s loaded for the first time, then delivers a cached version of the page to every user who has already visited. This helps to really speed up your site considerably, and your visitors will love it as well because their information is already ready to be retrieved. You can find caching plugins by searching for plugins in the main plugin category section after logging in and clicking Add New. 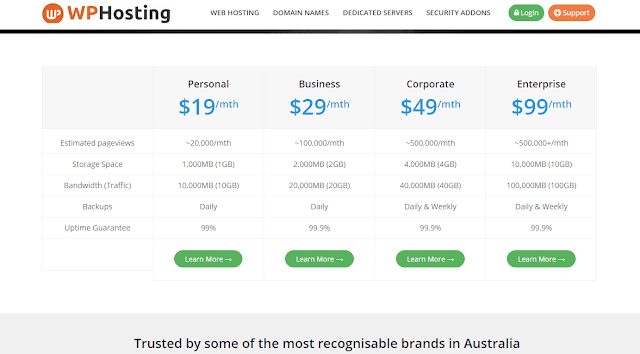 When choosing a hosting company, you would have signed up with an account with set limitations to bandwidth and other options. It’s a good idea to revise your account from time to time and upgrade your membership as your site grows. You may have only required a lower bandwidth, to begin with; however, if you’ve expanded considerably and you’re still on your old plan it may be time to upgrade to help your plan cater for the capacity your site needs. WordPress is a great blogging platform for many people. However, if you don’t maintain your website and improve on some of these areas above, you’ll find that your site may become slow and unresponsive. By considering these simple tips, you’ll be able to really help to improve your website speed for the better. So, are you ready to have a faster website? Article By Aaron Gray - a co-founder of Studio 56 & expert in digital marketing who has already worked with several largest digital marketing agencies from Australia. He has been serving in the digital marketing field for ten years and loves to travel the world to acquire and develop his skills in the digital marketing industry.